The Royal Cornwall Events Centre, Whitecross, Wadebridge, PL27 7JE. clothing, crafts and even combine harvesters. This is the events 225th year and the standards keep being raised. Founded in 1793, the first show is thought to have been a ploughing match between local farmers outside of The Red Lion Inn in Truro. It was then held in Truro between 1827 and 1857 before changing location yearly. 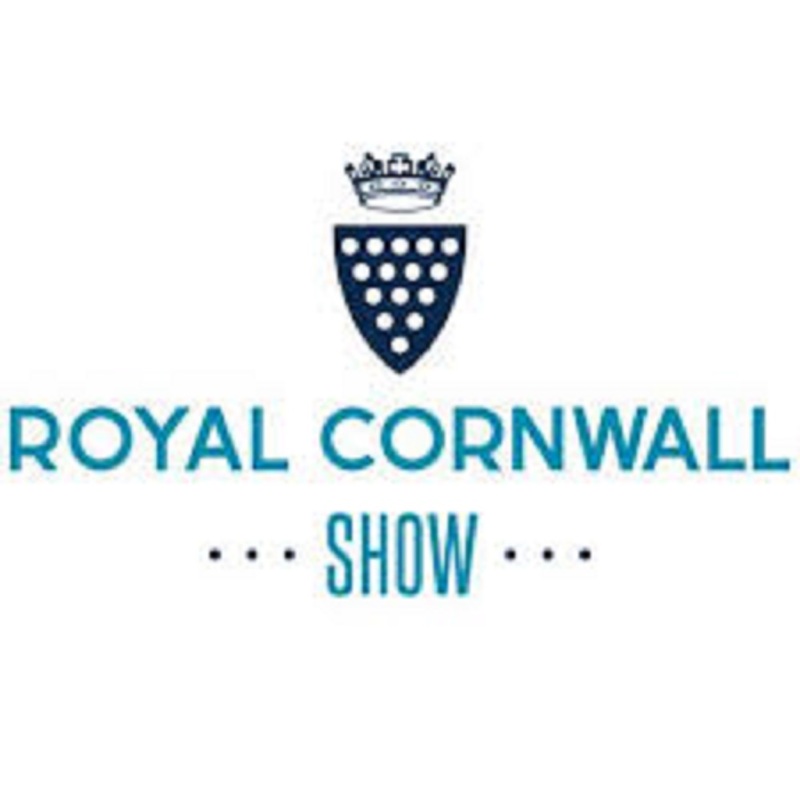 In 1858 it become known as The Royal Cornwall Show and found its permanent home in Wadebridge in 1960. At its heart it is still an agriculture show with an increasing number of animals entered into the competitions each year coming from further and further afield. Everything from rabbits, goats, birds and even bees are involved. And there are dog shows, riding competitions, falconry, sheepdog trials and even sheep shearing to entertain the animal lovers. Fans of horticulture can head to the famous flower tent where they can see the best that individuals and local nurseries have to offer. Whilst those of you more interested in motors can peruse the tractors, new cars and vintage vehicles on display with plenty of daredevil stunt driving too. In terms of entertainment there are stages and avenues full of music and dance. The Cornish Festival of Dance is something not to be missed – as is the the Cornish Wrestling. There will also be a traditional steam fair and fun fair and you may even see a 14ft tall animatronic dinosaur, Titch the T-Rex wandering around the site. With performances by the Devon and Cornwall Police Dogs, the band of HM Royal Marines Plymouth and the RAF Falcons Parachute DIsplay Team too, you’ll have plenty to keep you entertained. New to this year’s show is The Cornish Cider Championship which will see the best amateurs and commercial producers from Cornwall, the UK and overseas compete. To accompany this will be the brand new Dreckly Inn which will hold a range of ciders that you would be hard pressed to find elsewhere. In honour of the Prince of Wales’ 70th birthday and to celebrate his lifelong commitment to rural Britain, the opening day of the event will see The Prince’s Countryside Parade. And to mark the centenary of the end of World War Two, The Cavalry of Heroes will present ‘World War One: Horses and Heroes’; a show of tricks and stunts of horseback set to music and ending with a cavalry charge. The nearest train station is Bodmin and whilst the site is easily accessed via the A39 the advice is to get there early to avoid peak time delays and queues at the car parks. Tickets are valid for the one day only and are £19.50 for adults, £5 for children (4 to 15), under fours go free and you can purchase family tickets (two adults and two children) for £41. For later arrivals there are discounted tickets (after 3.30pm on Thursday and Friday and 2.30pm on Saturday) which will cost £10 and £2.50.